Wires, paper cups, notebooks, books, toys, tumblers, water bottles, pencil holders, framed photos, magazines, and post-it pads. These are the clutter of things that can be found on our workspaces. Where we work is somehow an extension of ourselves, so decorating it with personal belongings give more soul to our productivity and quality of product. Besides, being inside plain walls for hours can be boring, so adding a little color and life on your tables is not a bad thing at all. Our workspace also defines our personality. A messy desk can either be a sign of creativity or a completely chaotic mind. Again, we don’t have to get rid of the stuff on our table, but a little organizing won’t hurt. In this post, we listed a few things to remember when organizing your workspace to improve its condition and the way it affects our performance. Whether you work from home or in an office environment, workspace organization is a discipline that we must keep in mind. Set up your workspace ergonomically. A well-designed workplace should provide comfort and avoid stress or physical injuries. There are ways to prevent your back, neck, shoulders, and wrists from aching after a long day at work. Get good lighting. Whether it be natural or artificial, a good lighting provides more energy and enthusiasm towards our work. Notice how we tend to be more sleepy when there is poor lighting or the only light source is our computer screen? It is because the mind tells us that darkness is a sign to sleep. Make sure to position your workspace beside something where natural light passes through or put it directly under your artificial light source. Get a view. Let your mind wander and gaze outside the window for a while. For a while, but not too long or else you won’t be able to finish a thing. The inspiration you’ve been waiting for might just pass by the window! Use dual monitors. This is specially helpful when your designing while simultaneously looking on design pegs or inspiration. It can also save you some time when drag and dropping files from one folder to another, browsing several windows at the same time, and when writing from a source. Have an ideas drawer. You never know when you’ll be lost for a concept to start from, so it is a little help to have something where you can stash away ideas from different materials (i.e. past sketchpads, journals, magazines, paper clippings, books). Artist’s block will then be blocked! Name files descriptively. This will save you time when searching for a particular file within a folder of random things because you just have to type it in the search bar. Avoid naming files by randomly typing characters on your keyboard (i.e. invbugaeovpundbavpindsuavpidsanvp.ext). Organize your files. Create several folders and be as descriptive as possible when naming each for every project. Back up your files for safekeeping. This is to help ensure that you don’t lose your files whatever happens to your computer. Tidy desktop at the end of the day. We tend to temporarily save files on our desktop when working on a new project, so it is important to put them in folders to avoid the clutter. 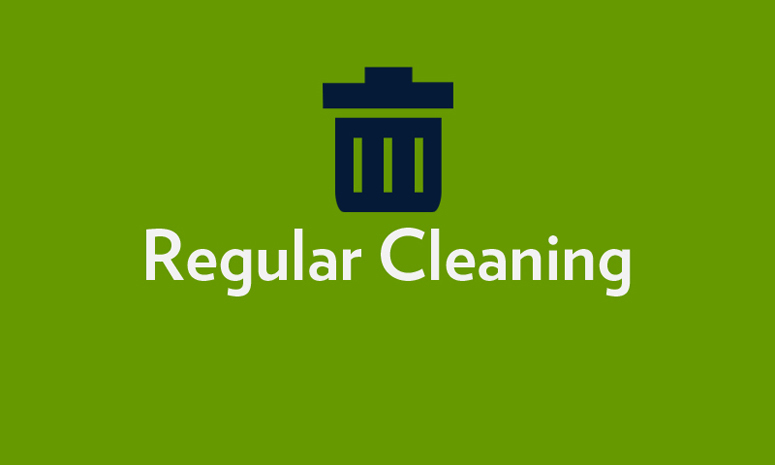 Clean your workplace regularly. Give your desk a breather, trash unnecessary items perched on top of it and enjoy a little more space. Share your thoughts about this post through the comments box below and don’t forget to follow us on Twitter, Facebook, Google+, Tumblr, and Pinterest.